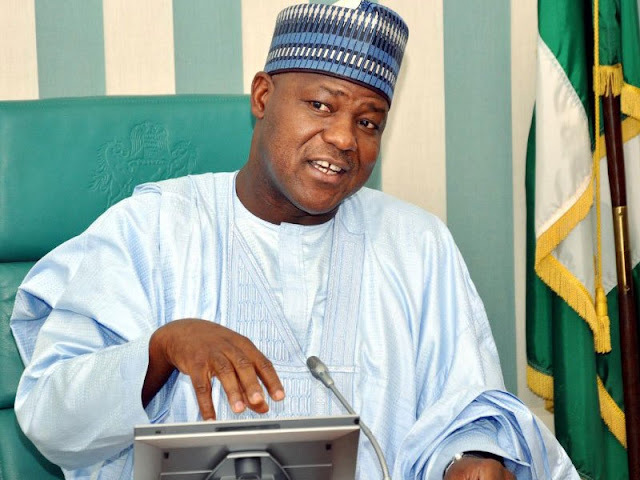 Speaker of the House of Representatives, Hon Yakubu Dogara, has urged Nigerian youths to focus on developing their talents in sports as participation on professional levels has proven to be an effective route to exiting poverty. Speaking at the finals of the intra-state Dogara Unity Football Competition in Bauchi, Bauchi State, the speaker said though education remains the bedrock of development, participating in professional sports have over the years, played a big role in empowering youths, especially financially. He explained that it was because of this fact that he took the initiative to sponsor the football competition which was keenly contested by football teams from all the local government areas in the state and beyond. Recall that in December 2017, the speaker had vowed to sponsor a state-wide football competition in order to harness the talents of Bauchi youths and put them in form for onward selection into local and national teams. He promised that the 2nd edition of the competition will be better organised and requested the support of Bauchi people to elect a government that will support his initiative. The speaker said, "This event is not just for playing and feeling good about it. You will notice that football has become one profession that can lift youths out of poverty. One good footballer may do better in uplifting a community out of poverty. I am not saying that education is not important. It is important but as you train yourselves in education, also concentrate on sport activities." Expressing delight that about six of the participants have already been contracted by clubs outside the state, he hoped that it will lead eventually to the inclusion of a Bauchi State indigene in the national team. The competition was won by Dogara Boys Football Club who carted away one million naira prize money; Super Starlets of Azare second place with a cash prize of seven hundred and fifty thousand naira; while Misau FC went home with a cash prize of five hundred thousand Naira.